Shocking Reasons That Has Lead To Ariana And Pete Split Up! 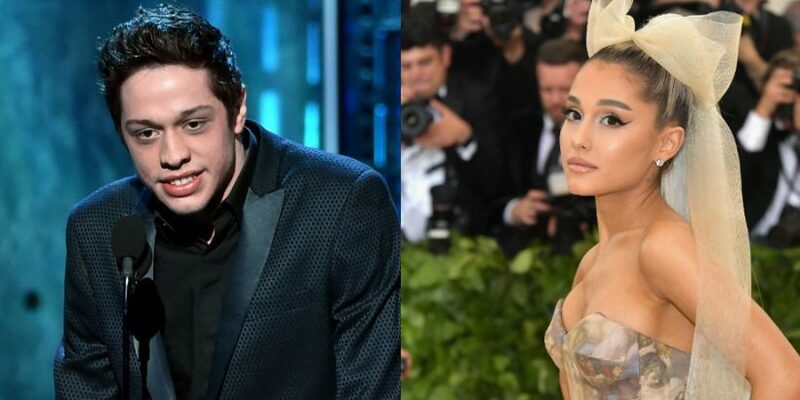 Ariana and Pete Relationship timeline! The two of the stars were in a serious relationship before coming close to each other. They met in March in 2016 on Pete’s show as she was the guest appearance on the show. Well, nobody would have thought that they will jump in the ship of love. Ariana revealed to the Jimmy Fallon on the Tonight’s show that, “We never exchanged numbers, we weren’t even friends for the longest time. I had the biggest crush in the world on him for a long time, like forever. My friends used to make fun of me for it.” That’s something surprising! The couple were very much in love with each other and were publicly flaunting their love with lots of PDA. After their engagement, she was seen wearing an exquisite diamond ring. But the couple didn’t know that there would be a downfall to their love life. Pete covers up the tattoo with love! Recently, the Ariana inspired bunny tattoo was transformed into the love. The speculations were there that there is some turmoil between them. But later it was clear that the cover-up was a clear sign that they have come closer then ever! Lovebirds postponed their marriage date! They were rumored to get married in August. But her ex, Mac-Miller death shocked her deeply and obviously whole music fraternity. Therefore they called off their wedding. Thank God that they called their wedding as now they split up before the wedding. As you know divorce gets sometimes nasty! A full stop to their relationship! The couple called their engagement off after just four months. But when the sources tried to figure out why? They came up with the shocking reasons. But I think many of them saw this coming. Obviously, all the fans are shattered. So, let’s look over the reason! Shocking reasons for the end! Before a week many of them found that she’s diving into the ocean of depression. Due to twitter comments that could clearly show her anxiety. She wrote, “can i pls have one okay day. just one. pls.” The main reason for her split was due to the imbalance of emotions due to her ex-death, “Given the events of the past couple of years, Ariana is going to take some much-needed time to heal and mend,” her rep said to sources.